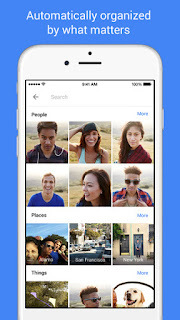 UPDATE 6/22/15: You can also upload photos from your desktop to Google Photos. Learn more HERE. Check out the new "must have" Google Photos app for Apple iOS and Android devices. Released this week, the app offers free, unlimited cloud storage for all of your photos. One cool new feature is the ability to search your photos by keywords. 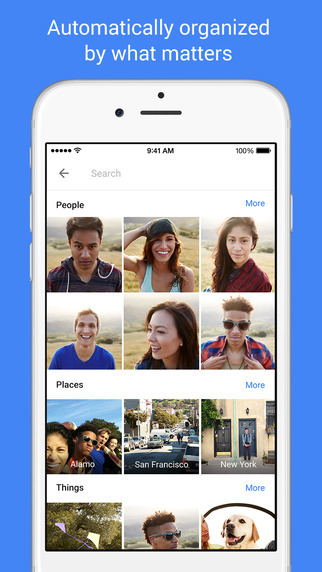 Google Photos automatically organizes your photos by peoples, places and things. At first it's a bit alarming but after being able to find photos quickly, you will come to appreciate the value of this technology. In addition, there is basic photo editing and sharing within the app. 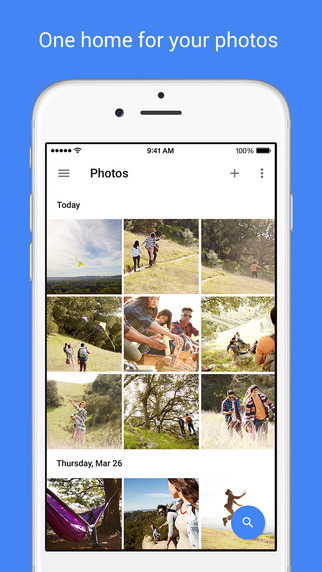 Google Photos is a great new tool and we're excited to see what's next for this amazing app. You can download the iOS version HERE and the Android version HERE.